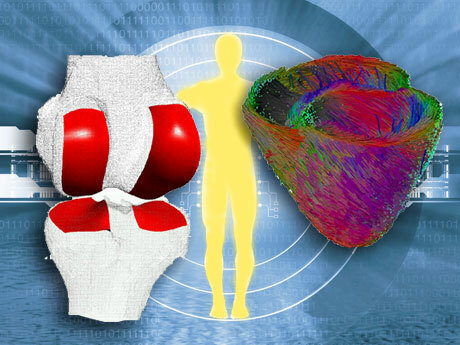 Initiated by the European Commission as a major multidisciplinary scientific challenge, the Virtual Physiological Human (VPH) aims to develop robust, in silico models of human physiology and pathology. The desired outcomes include the identification of novel diagnostic biomarkers, the optimization of clinical decision-making and the discovery of innovative therapies. In this way, individualized models of human function could serve as virtual testbeds for a better understanding of pathophysiological processes (ie the disturbance of normal mechanical, physical and biochemical functions), as well as evaluating potential therapeutical strategies in silico. clinical applications and demonstration of the tangible benefits of patient-specific computational models. This European initiative will give rise to new environments for predictive, individualized, evidence-based, more effective and safer healthcare. In addition, better therapy and the modelling of adverse drug effects will reduce medical errors and improve patient safety. However, in developing such patient-specific models it is crucial to implement multi-layered models that describe different properties (eg electrical, mechanical and biochemical), and appropriate image analysis and data assimilation tools to identify their specific parameters from patient images. An ultimate goal is to meaningfully integrate these models to describe/model/mimic some life function, rather than individual properties, at different scales; for example, from cellular dynamics to organ function. To realize this ambitious scientific vision it will be necessary to address a number of challenges related both to infrastructure and data management, computational issues, validation and legal ethical issues. The Virtual Physiological Human (VPH) is a methodological and technological framework that, once established, will enable collaborative investigation of the human body as a single complex system.